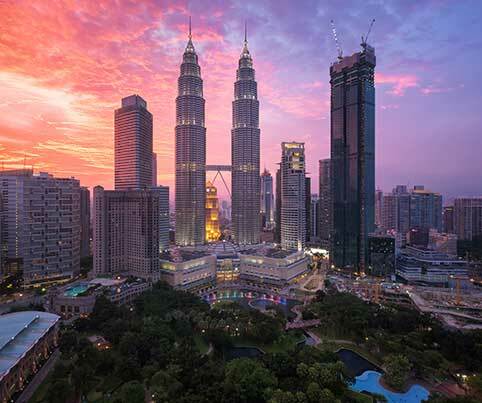 Located in the central hub of the city, at Menara Hap Seng is renowned for its authentic Indian Cuisine, prepared traditional Northern Indian dishes using innovative techniques and quality Indian ingredients by Chef Mukhrabin. Set in a modern Indian concept with chic red and black wall paper and wooden decor, Olive Tree offers a signature tasting menu featuring Chef’s original recipes that has earned him recognition by his customers and includes the classic Afghani mixed tandoor, Olive special vegetarian platter, goan prawn curry, prawn chettinad, and Olive combo briyani (lamb, prawn and chicken mix), all from the rich Indian regions of Northern India. 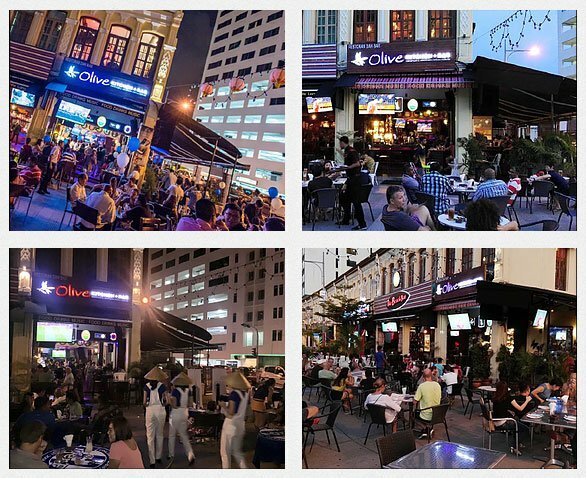 Situated in Upper Penang Road, Olive Kitchen + Bar, is almost always crowded especially at night, this place could accommodate up to 200 persons. Serving Western and Northern Indian cuisines, the chefs are all very well trained and experienced. In other words, they know what they’re doing. One thing that makes Olive stand out from any other bars is the music they play., they play retro and old school music. Olive has DJ James spin retro music every Wednesday to Saturday from 9:30pm onward. Olive Kitchen and Bar offers a signature tasting menu featuring Chef’s original recipes that has earned him recognition by his customers and includes the classic Olive Nawabi Mixed Tandoor, Daal Ganga Jamuna, Murg Tikka Butter Masala. From their western menu, their Diavola pizza, Chicken Burger, and BBQ Chicken Steak are to die for. 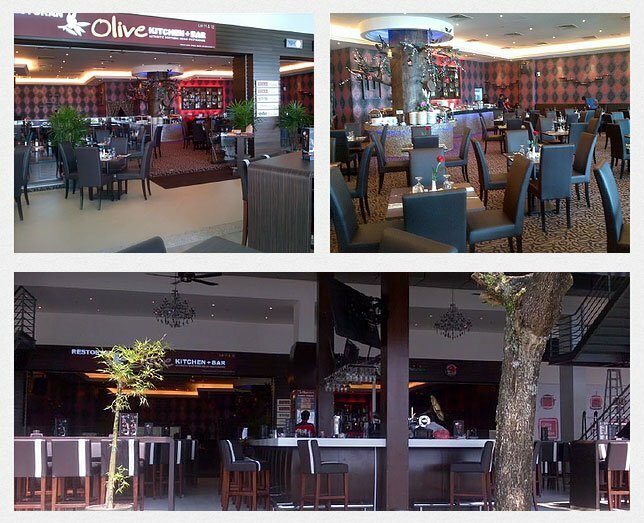 Olive Kitchen + Bar, is almost always crowded especially at night, this place could accommodate up to 200 persons. Serving Western and Northern Indian cuisines, the chefs are all very well trained and experienced. In other words, they know what they’re doing. One thing that makes Olive stand out from any other bars is the music they play., they plaFull of spice and very nice, aptly describes the freshly cooked, flavorful and fragrant cuisine at the Olive Kitchen & Bar, at mari- na-front restaurant at Puteri Harbour. The clientele at Olive, not only enjoys evening drinks while watching the sun set on the marina, but also dining in on exquisite Northern Indian cuisine. With the culinary expertise of Chef Wahab Khan from Kolkata India, the Olive offers a signature tasting menu featuring Chef’s original recipes that has earned him recognition by his customers and includes the classic Grilled Butterfish, Grilled Chicken Tenders and Chicken Lollipops that is coated in a spicy-sweet Szechuan sauce which is from all the rich regions of India.y retro and old school music. Olive has DJ James spin retro music every Wednesday to Saturday from 9:30pm onward.